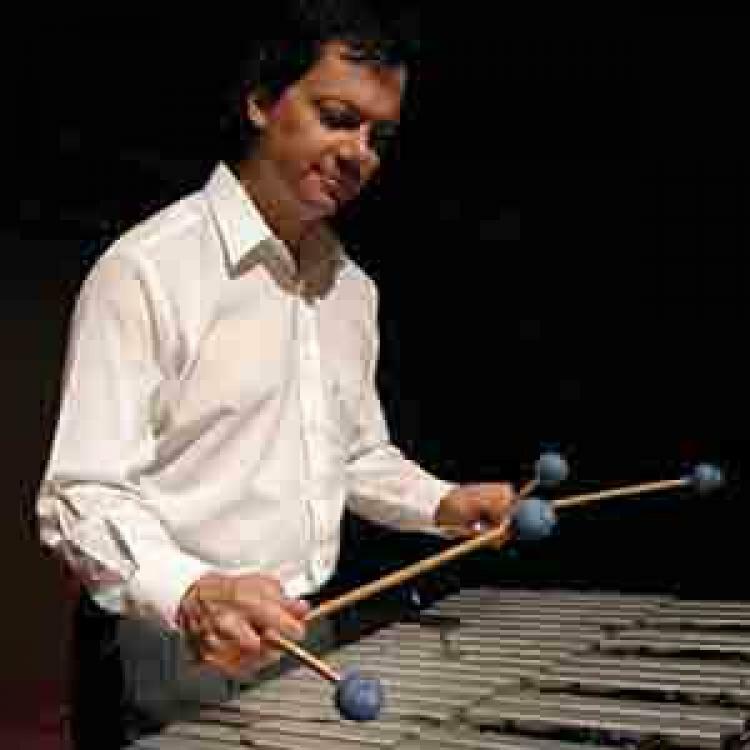 North Central College presents An Evening with Jazz Vibraphonist Brad Stirtz, Friday February 22, 8pm in Madden Theatre.Vibraphonist Brad Stirtz has gained a reputation as an outstanding professional mallet percussionsist, both onstage and in the studio. Brad's music career has spanned the globe, with concerts in Uganda, Trinidad and throughout the U.S. He has performed or recorded with such jazz luminaries as Ed Thigpen, Patricia Barber, Jerry Goodman, Dan Haerle, Fareed Haque, Jay Clayton, Madeline Eastman, Peter Eldridge, Suzanne Pittson and John McLean. He toured with the Janice Borla Group, and is featured on her CDs Lunar Octave and Agents of Change. A native of Minden, Nebraska, Brad earned his Master of Music degree in percussion performance at the American Conservatory of Music in Chicago. He recently received a second master's degree in Theology from Concordia University Chicago. As a jazz/percussion educator, he has previously served on the faculties of the American Conservatory, Roosevelt University, Benedictine University, North Illinois University and the Janice Borla Vocal Jazz Camp. Currently Brad is Director of Worship and Music at Peace Lutheran Church in Lombard, Illinois. He has been a member of the faculty at the Birch Creek Percussion Camp in Door County, Wisconsin for 30 years, where he teaches jazz improvisation and the techniques of playing world percussion instruments. This year a "Question/Answer" session will follow each concert to give audiences an opportunity to engage directly with the featured artists. This series is co-presented by Flashpoint Creative Arts, a nonprofit organization founded by vocalist Janice Borla and drummer Jack Mouse, promoting improvisation as an invaluable life skill and presenting innovative artistic and educational experiences meant to draw people into the improvisatory process.